Where do values fit into this picture? Do I not construct my identity according to the values that I hold? This can certainly be the case, but those values are constructed by my identification and experiences with some group in the first place. As with identity, we may benefit by asking what beneficial purpose values serve? What is it about values that allowed them to develop into a phenomenon, to occupy a place in our cultural practices? For example, on a base level, a village located in an area where flooding is common may come to value building houses and community structures elevated up on stilts. The flood is a threat. The technology of stilts is an opportunity. It gets more complicated when we push the framework from strictly material concerns and into the social arena, but there’s also no clear line between the two. For example, most foraging cultures value egalitarianism, especially when it comes to food. Hoarding is seen as a threat within such groups, and the pattern has been to develop, over countless generations, mechanisms that encourage, celebrate, and ritualize the sharing of food, and also mechanisms that sanction and punish hoarders. There are of course other insightful lenses through which we can examine values — other than the group-constructing, group-benefiting framework that I have put forward here. For example, one important values framework has to do with authoritarian versus egalitarian values (or, as George Lakoff puts it in his family-as-foundational-metaphor approach, strict father morality versus nurturant parent morality. Another notable values framework is a structurally determined one, where values are seen as part of a cultural superstructure, ultimately shaped by underlying economic structures. Both of these frameworks overlap with, complement, and complicate the values framework I put forward. A village values having eggs to eat for breakfast. A fox is killing the hens. New goal: Kill the fox. Limiting ourselves to the information we have here, killing the fox is a goal, but not really a political goal. Groups’ goals are not political until their realization comes into conflict with other groups. To be clear, for purposes of this discussion, I am not talking about interpersonal politics. When I speak of politics here, I am not referring to struggles between individuals—though certainly a valid subject of inquiry—but between aggregations of people (i.e. groups). When achievement of a goal depends upon negotiation or struggle with other groups (or with a political system that contains other groups), that goal becomes political. A demand for the realization of the goal is a political claim. When political claims find cultural expression within a given group, this amounts to a political dimension of group identity. A group becomes politicized when something it wants to be or do is “messed with” by someone else — and when the group’s distain for the “messing with” is articulated into something actionable. For example, a black Christian congregation in the South in the early 1960s may value equality and human dignity. They may have a goal of treating each other, and being treated, respectfully and as equals. White supremacists (and the political systems and cultural institutions that they dominate) interfere with the realization of the black church’s goal, which gives the goal a political tone. To become a political claim though, it has to be demanded. It has to find cultural expression within the given black church. And then the grievance has to be made actionable. Once this has happened—through processes of articulation—the church has effectively become politicized. To summarize, a group’s values take on a political dimension, insofar as they come into conflict with the will of other groups (or political systems that contain other groups). A group’s values-in-conflict constitute political grievances. And a group becomes politicized when it takes remedial action to resolve its political grievances. stand up to the banks together, to keep their friends and neighbors in their homes. Here the “group” invoked may be nebulous: our community, regular Americans, the middle class, working people, the 99%, etc. Each of these group frames is conducive to a popular identification with the group (depending on the context) and identification against the parasitic banks. In other words, strategic framing and articulation of a widespread problem and common threat can trigger the group-oriented instincts of even an amorphous “group” and may translate into collective action. 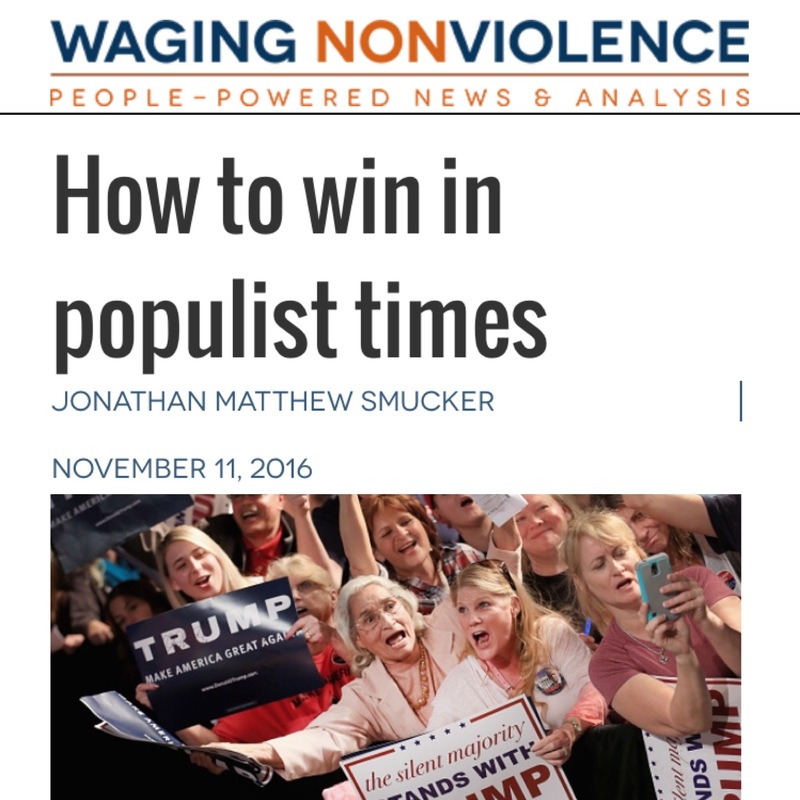 However, the jump to collective action rarely happens “spontaneously”, without an element of savvy political organizing. Political organizing is a process of articulating political grievances within a group—which sometimes requires framing the existence of the amorphous group in the first place—aligning existing leadership and capacity, overcoming internal resistance, and providing specific opportunities for strategic remedial collective action. I’ll dig deeper into these processes of articulation in the fourth and final post of this series (here). Parts of this post are adapted from an earlier post, Anatomy of Political Identity.